We don't make mistakes, we have happy accidents, and this is a happy accident indeed. 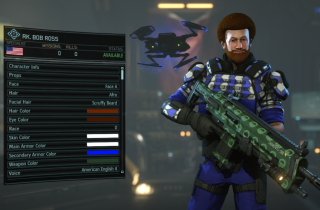 After the success of the XCOM 2 Governator voice pack, modder tdc733 has unleashed the Bob Ross voice pack, which is a bizarrely good fit. Ross comes over as a seasoned battle commander, a stoic, reassuring presence on the field who brings out the sectoid slayer in everyone. "Oo, nice, nice," Bob Ross observes as he lands a headshot—not gloating or narcissistic, but satisfied with the outcome. "Today the paint salesman's in town," muses Bob Ross, letting you know that despite his placid exterior, he's about to bring the noise. Download it here and you too can know the joy of saving the world from alien scum. For the complete Bob Ross experience, why not import our custom Bob Ross character?